At Fosh Catering we offer our customers the best. For both food and drink, we rely on local, seasonal produce of the highest quality. 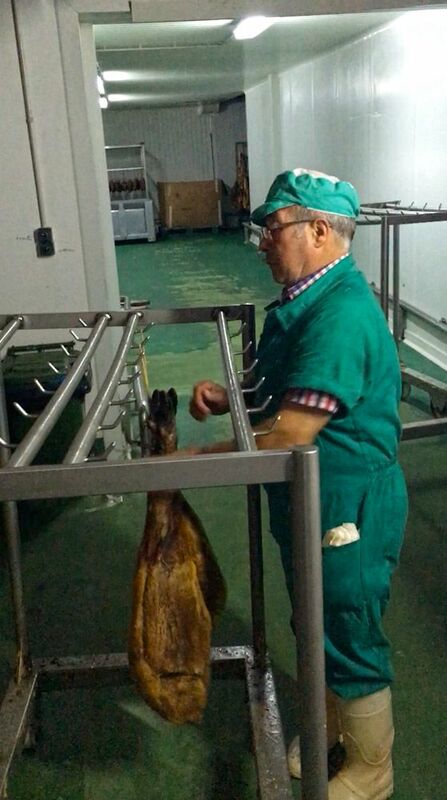 A few weeks ago, we had the chance to visit the “Jamones Lazo” facilities. 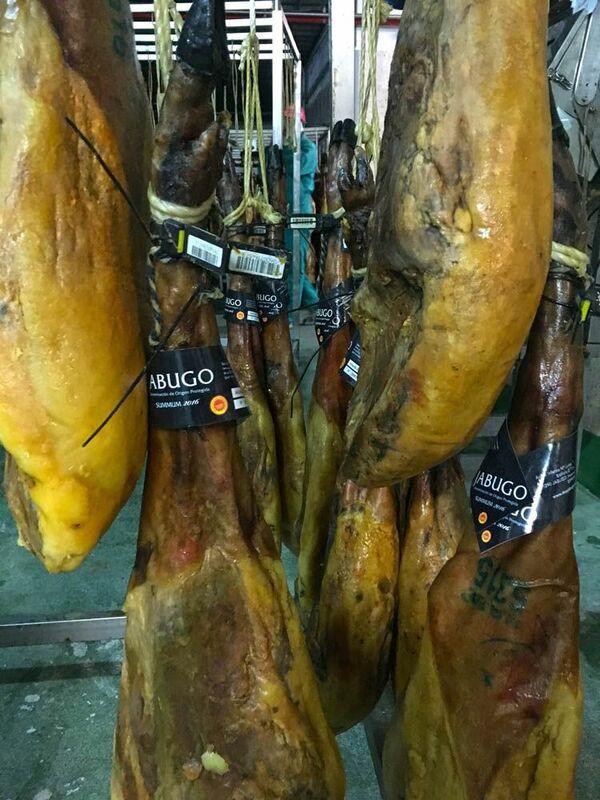 It is a company subscribed to the protected designation of origin of Jabugo, devoted to the manufacture and sale of Iberian produce. 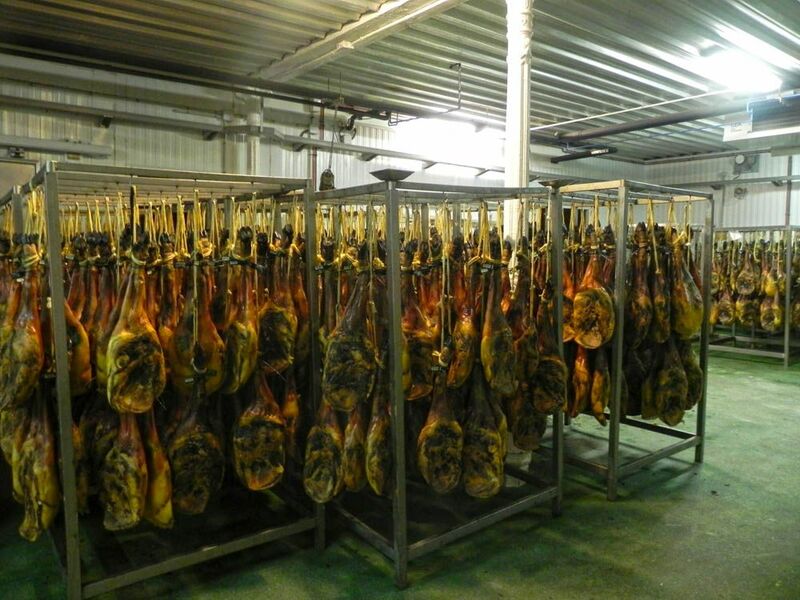 It is located in Cortegana, Huelva. 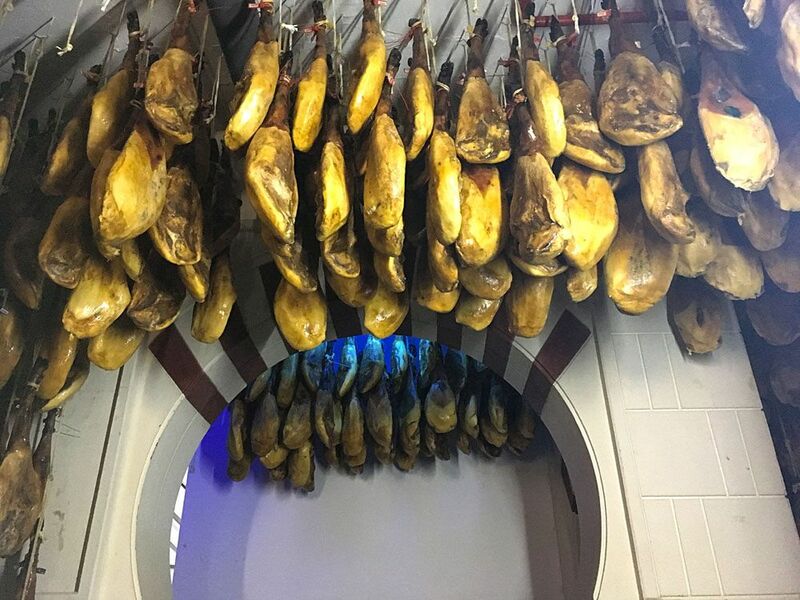 There, one by one, we chose the hams that would be served at our events throughout 2018. 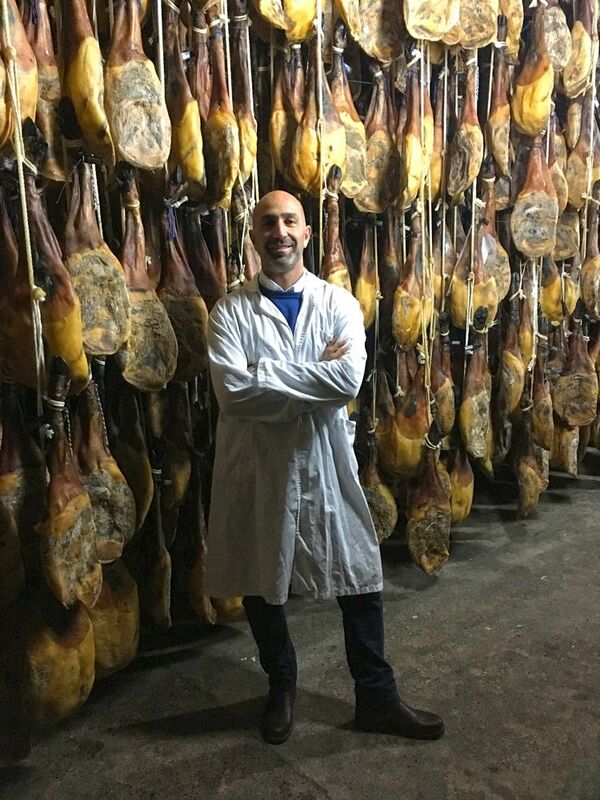 Ham is something that can’t disappoint, and that is why we believe it important to learn about the product that we offer in situ. 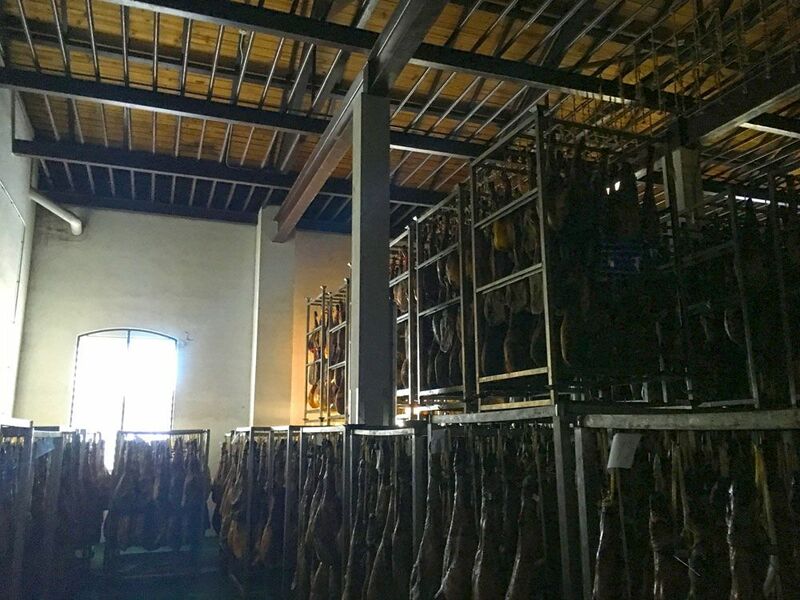 By picking them out personally, we ensure that we get the most optimal cure of ham. It is a method that vouches for us and sets us apart from the rest, bringing a unique touch to the end result. 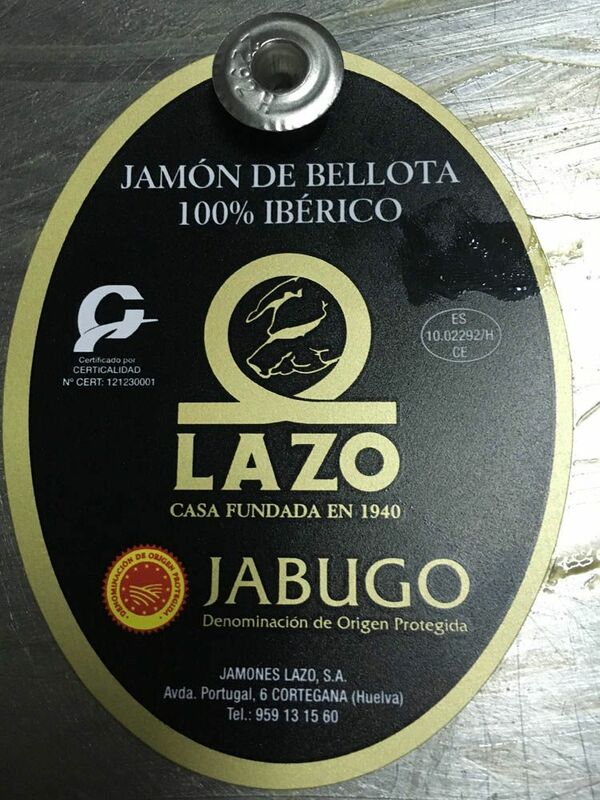 “Jamones Lazo” is a company with a history and a point of reference for quality ham. 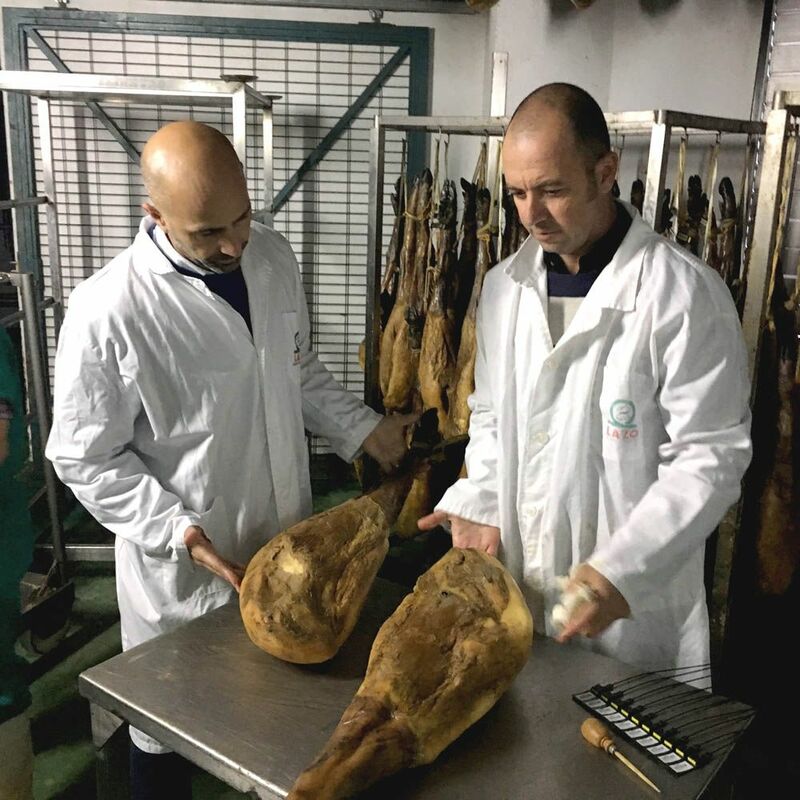 It offers handmade produce, which takes its taste from the surrounding areas and conditions. 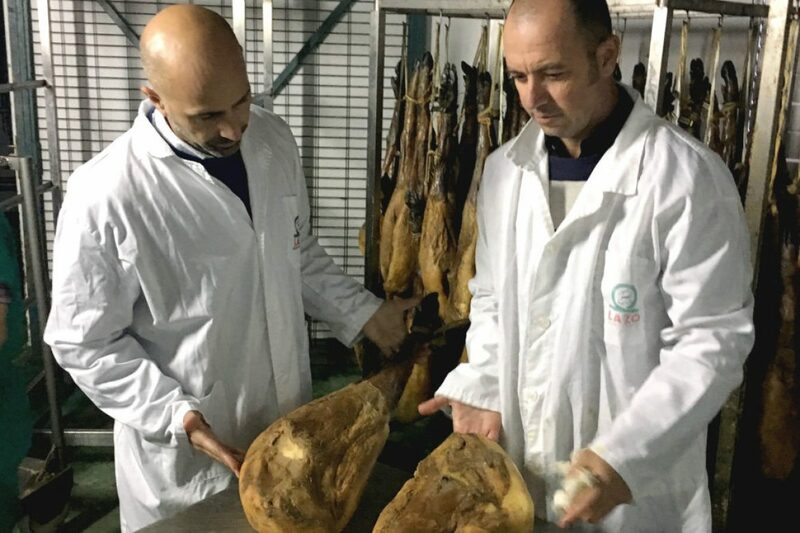 They are clearly committed to technology, yet don’t leave the traditional production methods behind. It has the only natural wood curer made in the last 50 years. 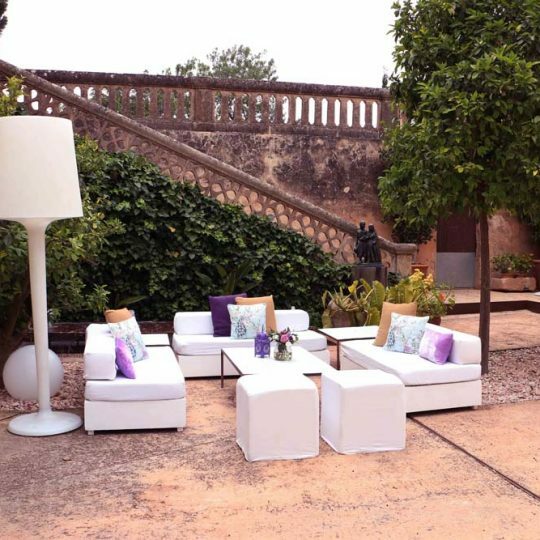 The wood of these curers, the maintenance of which demands constant care, acts as a natural regulator of damp and temperature, whilst allowing fresh air to come in from the Huelva mountain range. 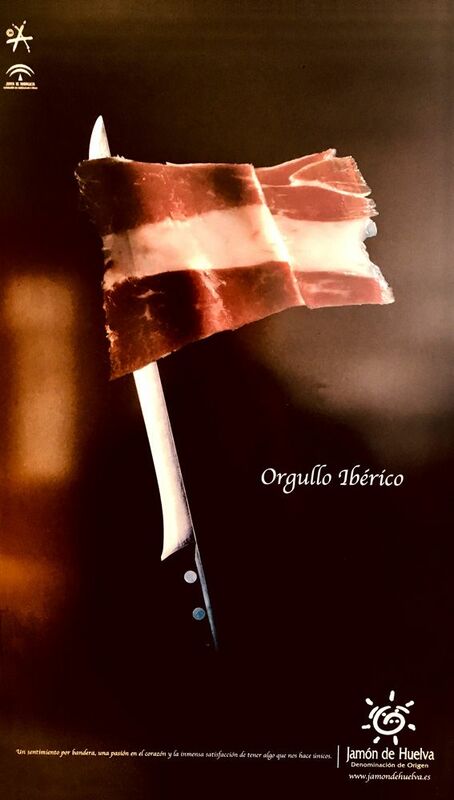 This grants the ham unique organoleptic properties that make it a ham of the highest quality. 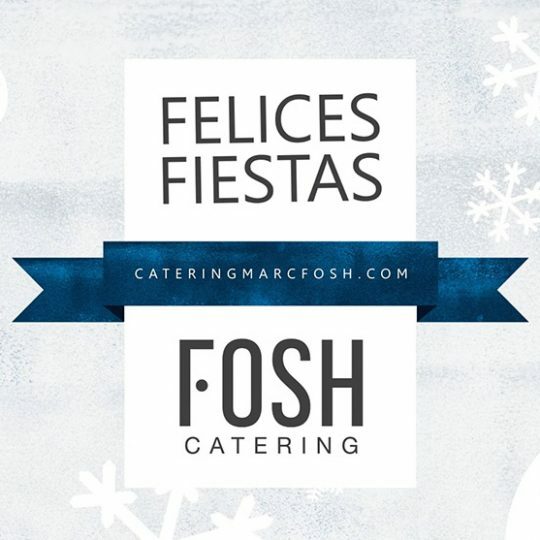 At Fosh Catering, we want to thank them for their attentiveness and we recommend you try these hams. They are, without a doubt, a delight, even for the most demanding of palettes.